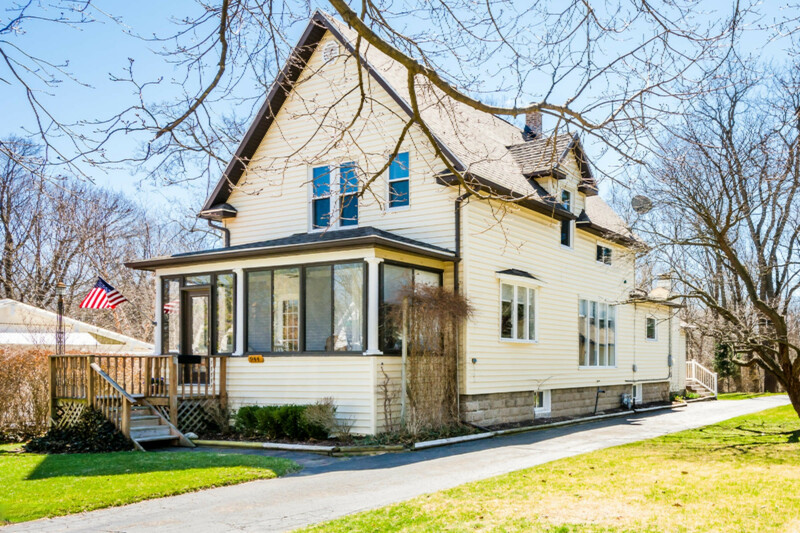 4 bed, 2 bath ravine home in downtown St Joseph. Many updates including new roof, new carpet & hardwood flooring, bath & tub, new molding, new garage door & roof, enclosed porch, pex plumbing, new chimney liner, new furnace heat exchanger, added insulation, new kitchen appliances, sealed crawl space, rebuilt rear steps & stoop, fresh paint throughout. Huge 2 car garage plus additional area for 3rd car or boat storage & workshop, & upper level storage. Access to driveway on Lewis or at end of alley. Vintage hardware, new carpet & good sized closets. Main floor has 1 bed and 1 updated full bath, new hardwood floors & refinished original hardwoods. Finished enclosed front porch, nice foyer & two separate living spaces. Unfinished basement with laundry area, tons of storage & 200 amp service.